27 Feb 2009 - Class "Jung" No.9 Steam Locomotive Jung 715/1904 in its present position in front of the Tsumeb Museum. Photo taken by Potjie and posted to flickr. 27 Feb 2009: Photo taken by Potjie and posted to flickr. 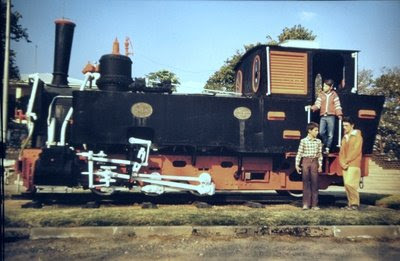 Our first visit to this locomotive was in June 1987. 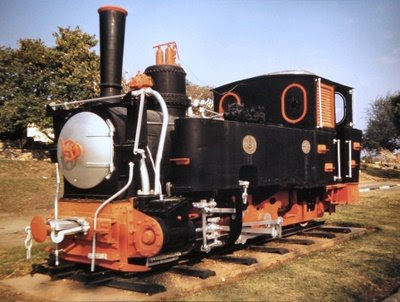 The locomotive was plinthed at the Tsumeb railway station. 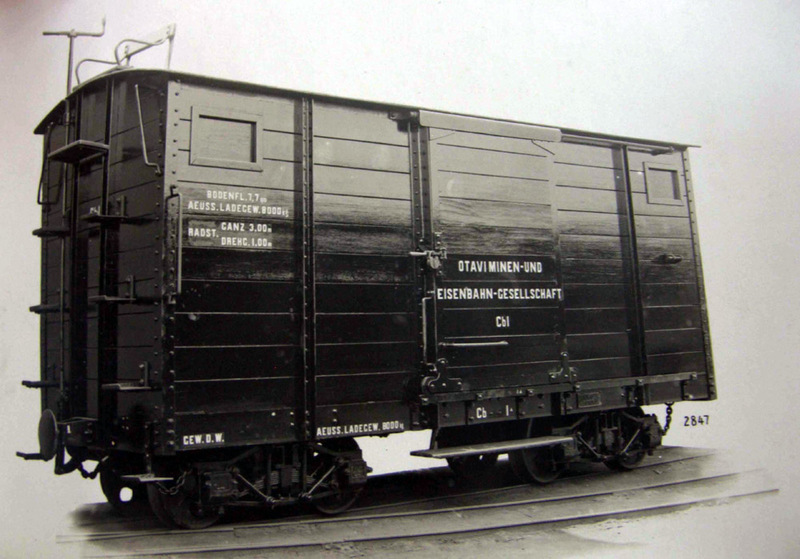 Note the "steps" on both sides of the cabin entrance to enable access to the upper parts of the locomotive. The Otavi-Minen- und Eisenbahn-Gesellschaft (OMEG) was formed in 1902 with the object of working the mines around Otavi and building a railway line to the coast. 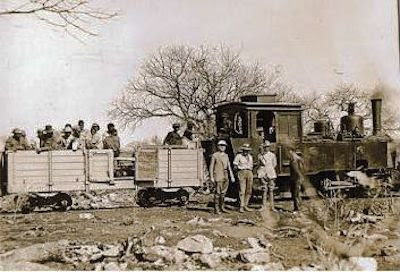 This line finally reached the Tsumeb mine from Swakopmund in 1906. 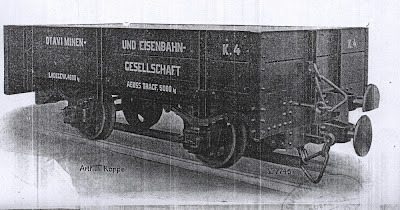 This 0-6-2T locomotive was built in 1904 by Arnold Jung of Jungenthal bei Kirchen a/d Sieg, Germany, Works No. 715. 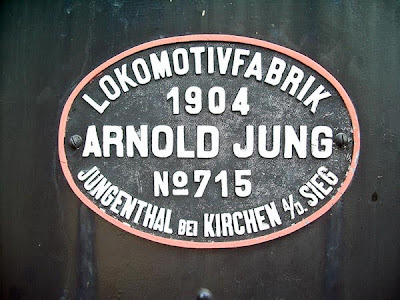 The Arnold Jung Lokomotivfabrik (Arnold Jung Locomotive Works) was a German locomotive manufacturer, in particular of Feldbahn locomotives, in Kirchen (Sieg). The firm was founded on 13 February 1885 as Jung & Staimer OHG by Arnold Jung and Christian Staimer. On 3 September 1885 the first locomotive was delivered. In 1913 the company was renamed to Arnold Jung Lokomotivfabrik GmbH, Jungenthal. 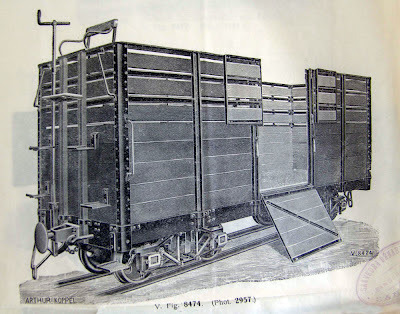 In 1976 locomotive production was stopped in favour of other products such as machine tools, transporters, armour plating, cranes and bridgelayers. Production ceased on 30 September 1993 and the factory closed. The firm of Jung-Jungenthal GmbH however continues to exist as Jungenthal Systemtechnik GmbH. The firm built more than 12,000 locomotives - including in 1959, number 23 105, the last new steam locomotive supplied to the Deutsche Bundesbahn - as well as boilers for other uses such as steam rollers. 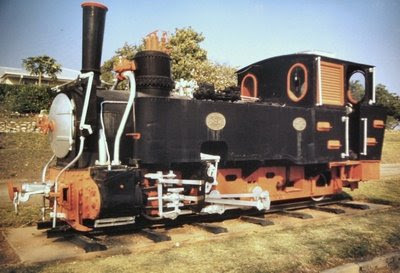 When we next visited in June 1994, the locomotive was in a sad state. 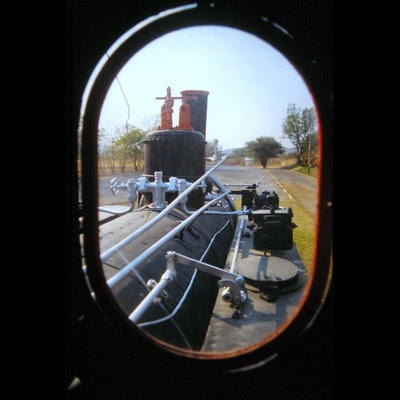 The number plates were removed, glass broken, the smokebox door was open, and the locomotive had been subjected to a veld fire. 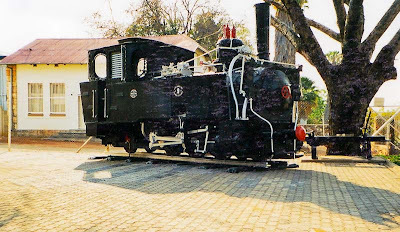 Between our visit in July 1994 and the next visit in July 1999, the locomotive was moved from the railway station on the outskirts of Tsumeb to a more secure location in the Park across the street relative to the Tsumeb Museum. 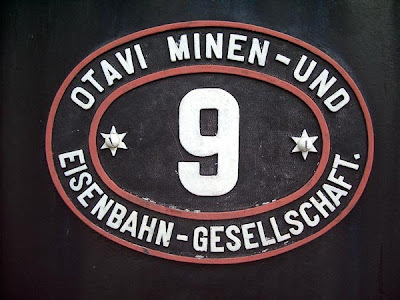 OMEG Locomotive No 9 was taken over by the Tsumeb Corporation and did its last term of service at the Tsumeb mine until 1951. 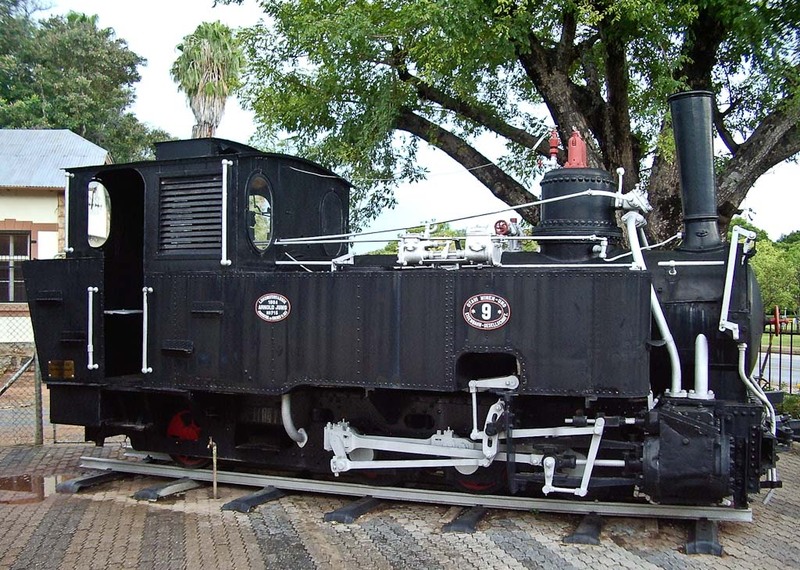 The locomotive was eventually retired in front of the Tsumeb station building. 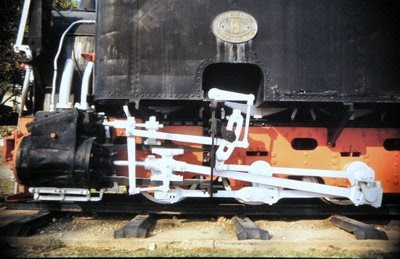 This engine, number 9, appears to be in its original tank engine configuration. It's final stint of service was at the Tsumeb Corporation. 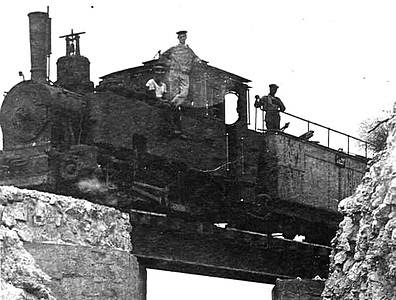 The engines often trailed a rectangular water tank. Only two were taken into SAR stock and they were subsequently converted to tender locomotives by removing their coal bunkers and adapting the trailing water tank to a tender. This 1985 stamp shows locomotive no. 3 of the Jung class. 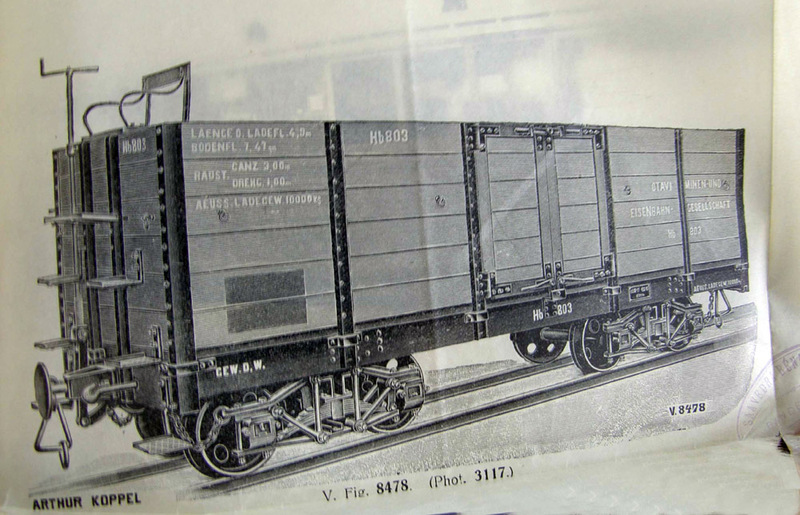 Owing to the shortage of suitable water along the railway line, the Jung's were equipped with an auxiliary tender which contained water and coal. 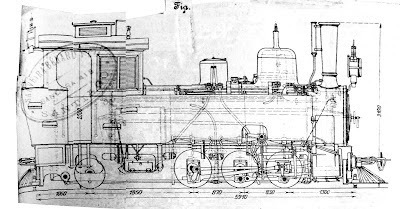 The front of the tender and the water communications pipe can be seen in the stamp picture. This photo has a full screen enlargement. Apparently the photographer was testing before he took the better photo before this one! The lower photo has some "ghosts". This photo from a private collection is likely to have been taken during the German colonial period prior to WW I. It shows one of the Jung engines - possibly No. 9. 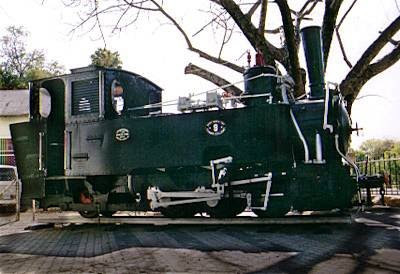 This 2002 picture taken by Bertram Werte shows No.9 in it's current position in front of the Museum building. Plinthed in the shade of a large tree. 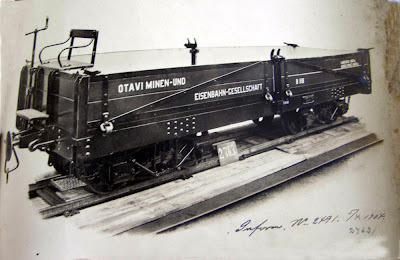 I have recently been sent a document dating from 1908 which makes it clear that Koppel, through their agents Saavedra Benard and Co. in Valparaiso, basically said to the Chilean Directorate of Public Works, "We've supplied lots of stock for the Otavi Railway, so our tender for your loco and rolling stock needs is based on what we sent there. Here are photos and details." 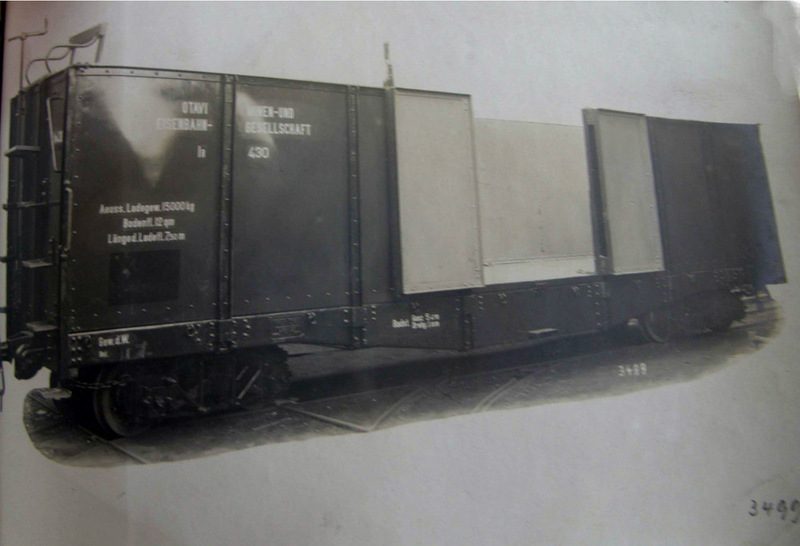 The supporting material includes seven photos of Otavi rolling stock in the factory before dispatch. 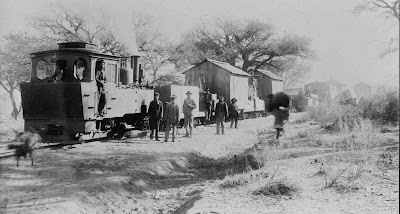 I haven't seen these before, so have added them to this group's photos section in a new folder entitled: 'Otavi rolling stock by Koppel' This can be accessed directly here. 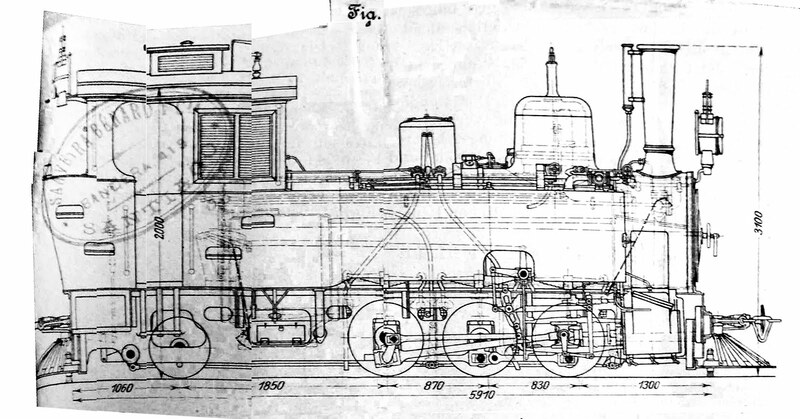 a plan view of the Jung 0-6-2Ts supplied to OMEG. These were rather distorted when my source took photos of the document. I have tried to straighten the side elevation out using Photoshop, but will be creating a new drawing in due course. In the meantime I hope that this too is of use to any modelers out there. I can provide higher resolution photos for those that need them, and extracts from the tables of dimensions, albeit in Spanish, if you are interested. I am not sure how much of all this is in 'Namib Narrow Gauge' as my copy is back home in the UK. However, I think some of this material is new. 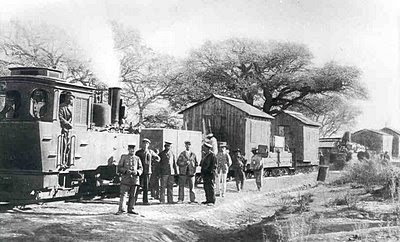 Now, a question for those who do have Sydney Moir's book: What were the ruling grades on the Otavi line? The locos and stock supplied to Chile created problems, because on a line in damp country with ruling grades of 3 1/2% (about 1 in 29) the Jung 0-6-2Ts couldn't cope with more than two of the Koppel coaches (partly because for that wet climate they had been redesigned fully enclosed and therefore the weight had risen from 6.2 tonnes to near 10 tonnes) and a bogie van. In other words the translation from the Namib to wet and steep southern Chile was substantially a failure. Any data on the gradients would be of interest, to let me see what the locos had to cope with in their original home. Thanks for preparing this portrait of the Jung class.